Having access to health care is critical for all citizens, regardless of locations. Unfortunately, some communities don't have it as easy as others. We understand that rural and underserved areas of the country do not always have the ability to receive the care needed, but there's an approach that could play a role in supplying your area with easier access to care. That solution is telemedicine. Thankfully, technological advances have provided a resolution to the issues keeping your community from receiving the quality care it needs. Telehealth has the potential to increase access to doctors and specialists in rural communities, allowing individuals to receive necessary care in a timely fashion, regardless of location. Essentially, telehealth is the remote delivery of health services administered through telemedicine technologies. If more underserved communities integrate such systems into rural facilities, they can provide faster treatment and eliminate the need to drive long distances for care, which can ultimately improve patient outcomes and relationships, and more. Are implementation costs a problem? There may be a common assumption that the implementation of telehealth technologies is what's keeping your community from moving forward with the process, but it can actually provide these areas quantifiable relief. Communities will find savings in hospital and transportation costs, and local labs and pharmacies will notice an increase in revenue annually. This, along with the ability to take better care of the community, can encourage your areas to consider telemedicine. 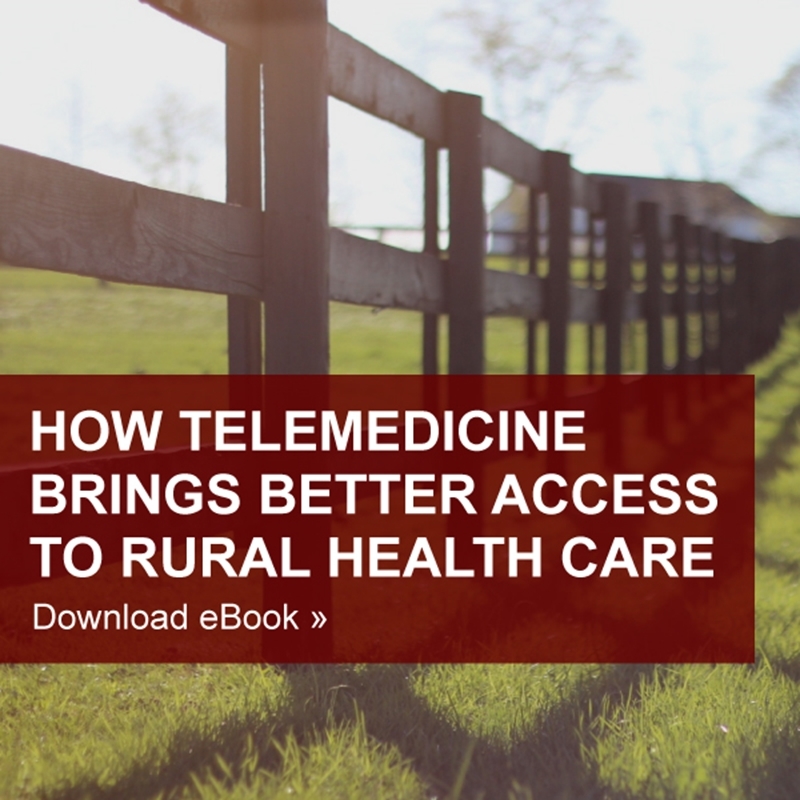 In this eBook, we'll take a close look at the need for better access to care in rural populations, how the integration of telemedicine can increase health care received by these individuals and the overall impact telemedicine technologies have on health and well-being to underserved areas. Additionally, we'll provide insight on how your community can leverage such telemedicine technologies, offering all patients a safe, convenient and personal option for annual check-ups, diagnosis and treatments.